What is funk music? Funk is an earthy, rhythmic genre that blends jazz, soul and R&B. 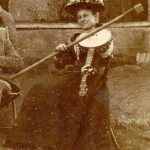 In this article we’ll take a brief look at the extensive history of this groovy and influential music. The word “funk” comes from the latin word “fumigare” which means “to smoke”. Funk was originally introduced into English to describe a strong smell and was first used around 1620. About a century later, the adjective “funky” was derived, meaning musty. This word was then picked up by the jazz communities in the 1900s and used as slang to describe something that was earthy or deeply felt. 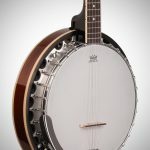 By the 1950s and 1960s, the use of “funky” to describe jazz was common, and this is how the genre “funk” got its unique name. Funk is a very danceable genre. It is upbeat, rhythmic and, for lack of another word, undeniably funky. Funk puts more emphasis on bass line as opposed to melody. It incorporates a variety of rhythm instruments, with bass and drums playing an important role in most funk songs. Funk usually doesn’t limit itself to the regular verse/chorus structure of most songs. 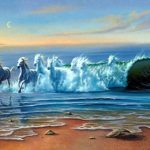 The song goes where the music carries it, and often each section of the song is given fairly equal weight and importance. Funk was the voice of a generation in the 1970s. It expressed the struggles of the working-class community, giving them music to share and identify with. 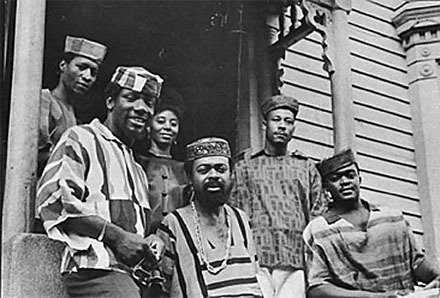 Funk was born in the African-American communities of the mid to late 1960s. It was heavily influenced by (you could even say it was started by) a musician named James Brown, AKA the “Godfather of Soul”. 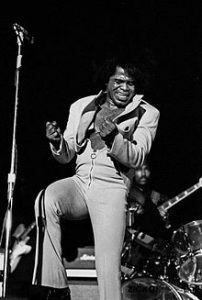 James Brown was an innovative singer that started out in blues and gospel-based forms of music, singing in the group The Famous Flames in the late 1950s and early 1960s. Later in the 1960s, however, Brown decided to try something new, and so he shifted to an Africanized style of music. This change in style was launched by his hit singles in 1965, “Papa’s Got a Brand New Bag” and “I Got You (I Feel Good)”. Check out this clip of James Brown performing live in 1965. If you haven’t heard him before, this will help you understand the meaning of funk. Brown’s signature groove developed into an accentuated downbeat, with emphasis on the first beat, as opposed to on the backbeat which was typical of most African-American music at the time. In other words, his signature groove went like this: one-two-three-four, as opposed to the typical one-two-three-four. Brown’s style of funk can be seen clearly in his songs such as “Ain’t It Funky Now” (released in 1967) and “Mother Popcorn” (released in 1969), in which he uses strong bass lines, drums patterns and complex grooves to make a rhythmic and danceable song. Brown also used his voice as a percussion instrument in his songs quite often, by making rhythmic exclamations, laughs, or grunts throughout the music, as a drum might do. This type of percussive vocals is something the King of Pop, Michael Jackson, adopted later on. Here’s a clip of Jackson doing what he did best back in the 1980’s. 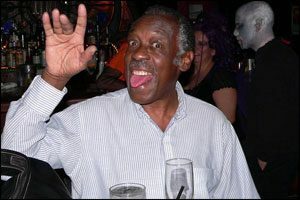 Speaking of drums, another large contributor to the funk genre was Clyde Stubblefield, a well-known drummer who worked with James Brown. Stubblefield was largely influenced by the R&B genre that arose from New Orleans after the second World War. This played an important role in the development of the funk genre. Stubblefield took up these New Orleans R&B drumming techniques and turned them into the groundwork of funk. 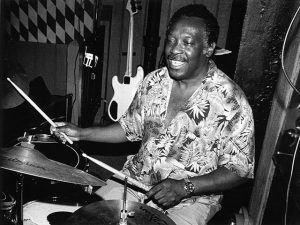 According to Alfred “Pee Wee” Ellis, another musician who worked with James Brown, “Clyde Stubblefield was just the epitome of this funky drumming”. For an example of his funky style, you can listen to the audio clip we added at the beginning of this article. After James Brown pioneered this new and exciting type of music, many musicians began to adopt his style. 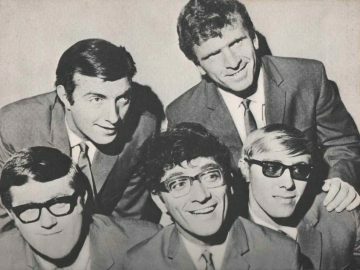 Dyke and the Blazers released one of the first albums to have “funky” in its name: the album “Funky Broadway” in 1967. In 1970, the band Tower of Power (TOP) released their debut album, “Easy Bay Grease” featuring songs such as “The Price” and “Back on the Streets Again”. The band was a break-through for modern funk because they popularized the genre and spread it to a wider audience. The band Sly and the Family Stone released the song “Thank You” which hit #1 in the charts in 1970, and their song “Family Affair” reached #1 in 1971. The Meters, whom we mentioned earlier, was another influential band who brought funk to New Orleans, making it popular in that area. Another significant funk band was The Isley Brothers, who came out with the hit song “It’s Your Thing”. This group was one of the stepping stones that lay between the jazzier James Brown and the psychedelic Jimi Hendrix. The 1970s is undeniably when funk had the most time in the limelight. You could say that the 1970s were the “heyday” of the funk genre. It was played on the radio and enjoyed by many people. Some other big names in funk at the time were Stevie Wonder, Rufus & Chaka Khan, and the Bar-Kays. Here’s Stevie with a funky number called Master Blaster (jammin’). The 1970’s were also when jazz musicians began blending jazz with different genres. Jazz-funk arose from this experimentation: a blend of jazz and funk. Jazz-funk used electric bass and electric piano, as opposed to the traditional jazz of the time, which used double bass and grand piano. Herbie Hancock, a jazz pianist who played with the Miles Davis Quintet throughout the 60s, decided to break out into the world of funk in the 70s with a new band of his creation called The Headhunters. Their debut album, “Head Hunters”, was released in 1973 and became an instant hit across audiences, though it was criticized by some jazz musicians because it felt more like funk than jazz. Here it is! If you want to feel funky, put this on. Jazz trumpeter Miles Davis, one of the most acclaimed jazz figures of the 20th century, decided to release a jazz-funk album in the 1970s, like so many other jazz artists. The album he recorded was “On the Corner”. He wrote it during the summer of 1972 and released it later that same year. It was an attempt to recapture his young black audience, who were turning to funk and rock instead of jazz. “On the Corner” is rich with layers and textures, with instruments such as the Indian tambura and tablas, as well as the Cuban congas and bongos. There is also heavy funk drumming and a funky groove played on the bass. In addition to the blend of jazz and funk, some groups began to develop a funk-rock style. The two bands of singer George Clinton, Funkadelic and Parliament, started experimenting with jazz and psychedelic rock in their funk music. These two bands are often referred to together as Parliament-Funkadelic, because they shared many band members. From these two bands, the subgenre P-Funk arose, referring to the music of George Clinton and Parliament-Funkadelic. 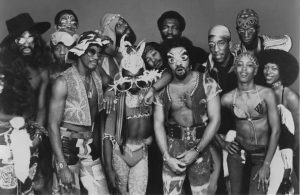 The P-Funk groups became quite popular in the 1970s, due to their exciting new brand of funk and their live performances. Starting in the 1980s, samples of P-Funk were also incorporate throughout many rap and hip-hop songs, including Dr. Dre. Disco music was heavily influenced by funk. Many of the disco hits of that time were sung by artists who started off in funk. For example, the funk band Rufus & Chaka Khan launched the solo singing career of Chaka Khan, who went on to sing the hit disco song “I’m Every Woman”. Donna Summer’s “Love to Love You Baby” was also inspired by funk rhythms, as was “Kung Foo Fighting” by Biddu and Carl Douglas, and “Love Hangover” by Diana Ross. And let’s not forget the funkiest disco band of them all, Chic. Electronic instruments, drum machines, and of course, synthesizers, began to trickle into funk music in the 1980s. Saxophones and trumpets were given less time in the lime light of songs, and synth keyboards became popular instead. Synth keyboards were also used for the bass lines that were originally played on bass. In 1980, the band Yellow Magic Orchestra became the first band to use the programmable drum machine known as a TR-808. Rick James was another artist of the time experimenting with synthesizer funk. With his hit 1981 singles “Super Freak” and “Give It to Me Baby”, we can see that the 1980s brought a change not only to the sound of funk but to the lyrics of funk as well; they became more explicit than before. Prince was another icon of the 1980s, writing adventurous music with sexual themes and funky instrumentation. Some other synth-funk artists of the time were Cameo, the Bar-Kays, Zapp, and the Dazz Band. Afrika Bambaataa, a band inspired by Yellow Magic Orchestra, developed electro-funk in 1982 a genre driven by electronic sounds woven into funk beats. Funk declined greatly in popularity with the arrival of hip-hop, rap and contemporary R&B in the late 1980s. However, it was still used, and is still used today, for sampling in many hip-hop songs. 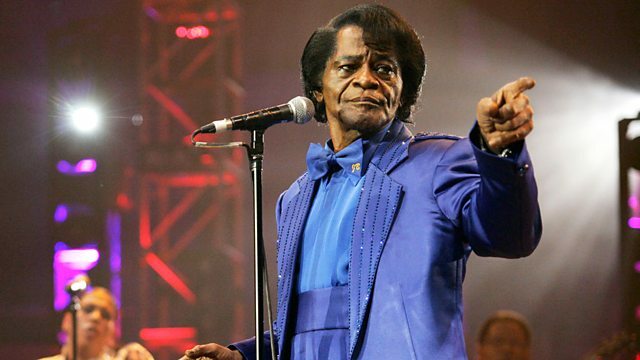 In fact, James Brown and Parliament-Funk are said to be the two most sampled artists in all of the hip-hop genre. 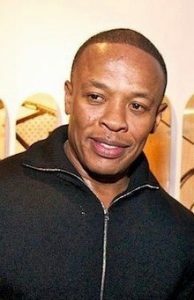 Dr. Dre has said that he was greatly influenced by the psychedelic funk of George Clinton and P-Funk. Rock bands also used certain elements of funk in their songs. Bands such as Jane’s Addiction and Rage Against the Machine were influenced and inspired by funk. The Red Hot Chilli Peppers, when they first began, took a page from punk funk acts like Defunkt and The Contortions. Their debut album, “The Red Hot Chilli Peppers” featured back-up vocals by Gwen Dickey, the singer of the disco funk band Rose Royce. Even modern R&B music has been touched by the splendours of funk. Beyoncé’s 2003 hit “Crazy in Love” samples the funk song “Are You My Woman” by the Chi-Lites, a funk quartet from Chicago. The song “Get Right” by Jennifer Lopez samples the funk song “Soul Power ‘74” by Maceo Parker, a trumpeter who worked with James Brown in Parliament-Funkadelic. 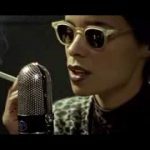 Often, the history of funk focusses on men, and on bands consisting mostly of men, but there have been notable and influential funk women as well. Chaka Khan, for example, who started in the band Rufus and Chaka Khan before pursuing a solo career, has been called the “Queen of Funk”. Her 1984 album “I Feel For You”, brought her much success and became a platinum album. The title track of this album features a harmonica solo by Stevie Wonder and a rap by Grandmaster Melle Mel. Dawn Silva and Lynn Mabry are another two big names in funk. They started off as back-up singers for Sly and the Family Stone, and then began working with Parliament-Funkadelic. They then began their own career under the name The Brides of Funkenstein, which was named by George Clinton after the P-Funk album “The Clones of Dr. Funkenstein”. Their 1978 debut album, “Funk or Walk”, was a huge success, selling thousands of copies in the first week. In 1979, Lynn Mabry left and was replaced by Sheila Horne and Jeanette McGruder. Their second album, “Never Buy Texas from a Cowboy” won them an award for best new female artist. Here is the title track from that album. The Pointer Sisters, made up of the four sisters Ruth, Anita, Bonnie and June Pointer, were a quartet that performed music spanning the genres of R&B, pop, be-bop, soul, and of course, funk. They strived to create original music that combined jazz and be-bop rather than follow the mainstream trend of pop. Some of their top singles include “Fire”, “Jump (For My Love)”, and “Yes We Can Can”. Although there is so much more to be said about the intricate and extensive genre of funk, I’ll leave it here for now. Funk has certainly been a very influential genre since the get go, getting its roots from blues singer James Brown and quickly spreading across North America. It became big in the 1970s and was fused with many other genres to create sub-genres such as funk rock, jazz funk, electro-funk and psychedelic funk. Its earthy sound, danceable beats, groovy bass lines and drum beats continue to please and inspire many audiences. We’ll leave you something with something that comes from a more electronic direction, that being some music by Luke Vibert. Adios and stay funky y’all!